Designed to verify that commercial dishwashers are washing with the correct water temperatures, the Taylor 214621J measures temperatures across a 0 - 220 degree Fahrenheit range. 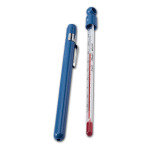 It will register the highest temperature it reaches during a cycle so operators can be assured that the correct temperatures for washing or sanitizing wares are being reached. 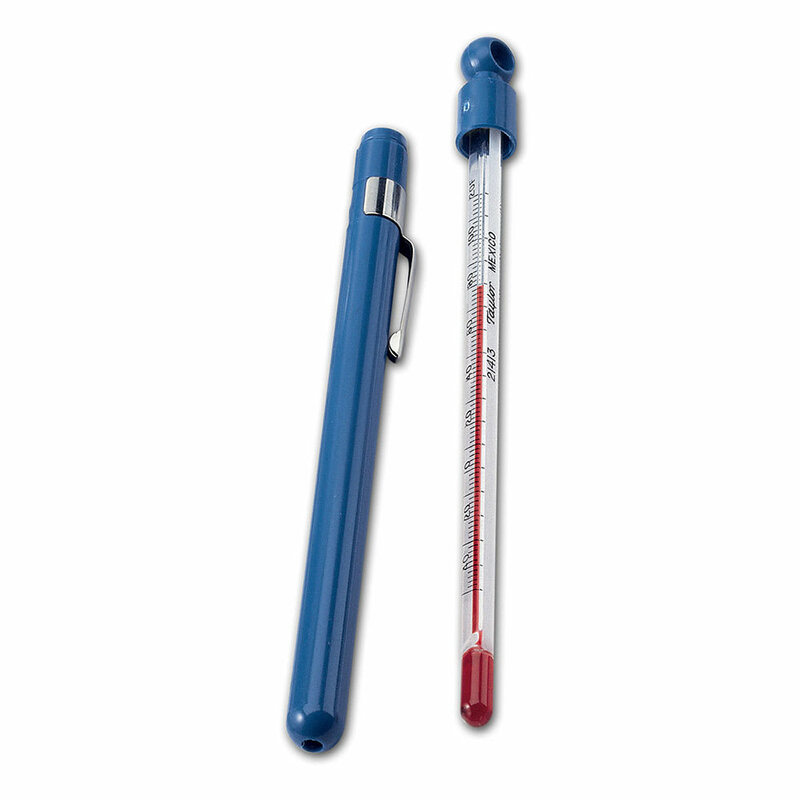 The tube contains mercury that expands as it is heated to provide an accurate temperature reading. That tube is protected by a highly-durable, heat-resistant MINLON casing. A plastic storage tube is also included to keep the Taylor 214621J protected while it is stored.